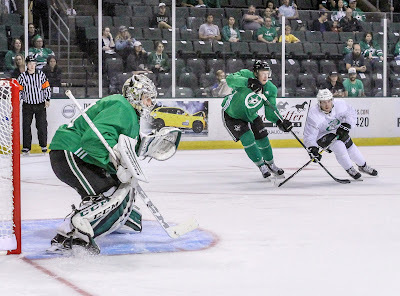 The Stars turned in a far better effort in their second and final game of the preseason, defeating San Antonio 4-0 in Cedar Park Saturday night. Denis Gurianov ended with a three point night and was generally everywhere in this game. Texas dominated time of possession, racking up several quality scoring chances. 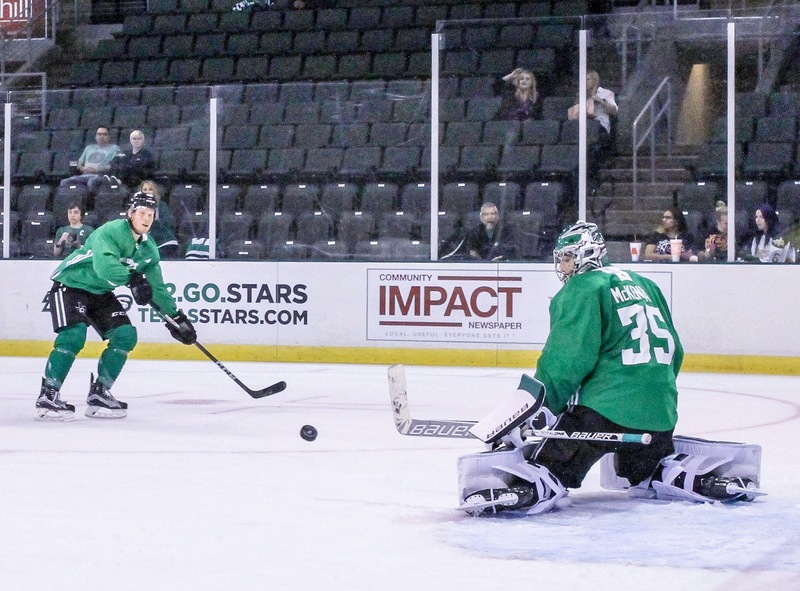 The Stars owned the face-off circle in the second period and won 75 percent of their draws. They ended up outshooting San Antonio 28-19. Gurianov scored in the first period on the power play when shots from Brent Regner and Brian Flynn caused a scrum in front of the net that put San Antonio goalie Ville Husso on his belly. When the Russian winger wasn't on the power play, he was killing penalties and posting up in front of the net during offensive possession. Early in the 3rd period Gurianov joined the rush next to Justin Dowling in a 2-on-1. He found Dowling for the one timer glove side. It was the prettiest play in the game. 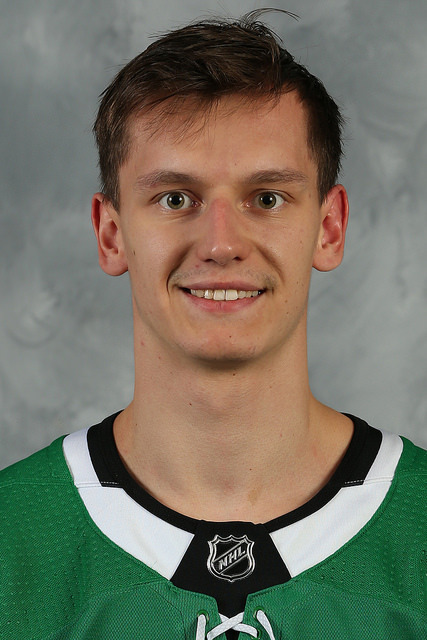 Gurianov tallied another assist on the power play in the 3rd period as he found Brent Regner creeping in on the play from the point to put the Stars up 4-0. “I told our defenseman to go low and the forward to go high and it worked out,” said Gurianov during postgame. Halfway through the second period the Stars created a 2-on-1, and Cole Ully scored off of the initial shot attempt by Max French. The goal seemed to put it all away as the game was never in doubt from there. Ully also dropped the gloves with San Antonio defenseman Gabriel Verpaelst late in the 3rd period. Earlier in the game, Verpaelst had a low hit on Matt Mangene that went uncalled. While he wasn’t challenged much in the first two periods, McKenna remained poised as the shot totals mounted up and turned in a shutout. “It was great. The team played really well so that made things easy, especially early in the game. It was good to get some reps, just feel the puck a little bit and play an entire game. McKenna has been here before and knows what the team needs to do over the coming week to prepare for the regular season opener against Chicago on Friday. Tonight's attendance was not available at press time. Texas dropped its preseason opener against the San Antonio Rampage in the Alamo City tonight by a 4-2 mark. The game was intended to give tryouts and rookies an opportunity to show their stuff. As such, most of the expected opening night roster was scratched. Philippe Desrosiers and Landon Bow, who are battling for the backup role behind Mike McKenna, split the time in net evenly this evening. The Stars outshot San Antonio 40-16, and each goalie allowed two goals on 8 shots. Texas was 1-for-9 on the power play, certainly a missed opportunity, and allowed two power play goals of their own on six chances. The Rampage jumped out to an early lead. Texas evened the score early in the second with an even strength tally from Mark McNeill but then found themselves down 4-1 in the third. They would tack on another on the power play form Cole Ully late in the third but come no closer than that. Coach Laxdal said this morning that he was looking for guys with high compete levels to make an impression. After having issues playing a full 60 last season at times, he wants players who can absolutely provide that full measure of effort from start to finish. It's tough to judge tonight's game based on the box score. However, the players who fill in tomorrow for the missing (but ultimately expected) Remi Elie, Jason Dickinson and Roope Hintz will provide a good window into who broke through in tonight's game. After practice today, I grabbed a few quick minutes with Brent Regner, who signed with Dallas in the offseason after spending last year with the Florida Panthers organization, mostly in Springfield. HDH: Most Stars' fans are familiar with you from your time with Chicago, but that was only a few games per season. What type of defenseman are you and what do you bring to a team? I'm a two-way defenseman who will jump up in the play. I try to bring some energy. I've played power play and penalty kill. Just a puck moving defenseman who can jump up in the play. HDH: From that time with Chicago, what do you remember about the type of game that Texas plays? When I was with Chicago, you guys were on top. I know they play a hard game that's very structured, very tight. When you come into this building, you know it's going to be a tough night. One thing I remember is how good their sticks were. Coming in, I want to make sure to put us back on top. HDH: In Portland and Springfield, you had a chance to play with goalie Mike McKenna. What is he like as a goalie? He's very composed back there and a great goalie. I love playing in front of him. He moves the puck well and talks a lot. You know he'll be back there, and he'll let you know if you made a mistake and he'll let you know if he made a mistake. It's a great relationship with the D. I've played with him for three years and I'm looking forward to playing with him again. HDH: Coach Laxdal mentioned the ability to get started on special teams work early this camp. What are you guys working on with special teams here in camp? The team with the top PP and PK are in the top five in the league. If we can get a jumpstart on it, that's huge. We're just getting to know Xs and Os and things are a little different with the PK style and getting familiarized with it. HDH: Any changes in special teams from Dallas to here? Not much change from Dallas to Texas. 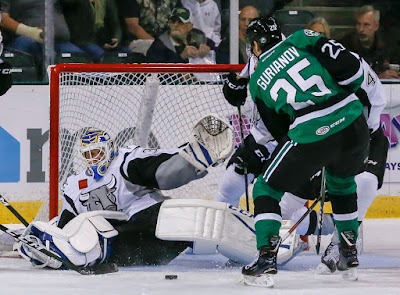 One of the last few assignments to Texas before camp began, Denis Gurianov is ready to prove his mettle in the AHL this season. Following last year's unexpected NHL turn in Dallas's season finale, he learned a lot and had an excellent summer. Last season in the AHL, he racked up 12-15=27 in 57 games played. He missed several games midseason to go to the World Juniors where his Russian team won the bronze medal, and he himself scored the medal-winning goal. "It was a good summer," said Gurianov after today's practice. "It was a good camp, fun and a lot of energy. I feel good right now and ready to go." Gurianov not only worked out his body this summer, his English language skills are also markedly improved. He has worked with tutors and roomed with English-speaking players last year to continue increasing his comfort and skill in the language. Asked if he thought he did well in the preseason games in Dallas, he deferred, "No, actually. I need to ask coach." Derek Laxdal has been a strong influence on the young Russian winger, even helping him to get his driver's license last season. He may have his license now, but his wheels on the ice still need work, according to him. "[Playing in Dallas,] I learned it was a a high speed and smart game with many shots and hits. I learned I need more speed and need to use my strong size, speed and shot." Asked what he's looking to improve this season in Texas to get more chances in the NHL, he focused on defense, calling out both his play in the D-zone and penalty kill, if he can play there. While NHL camps have been open for 10 days now, the AHL is just getting started with most teams hitting the ice for the first time as a group today or yesterday. 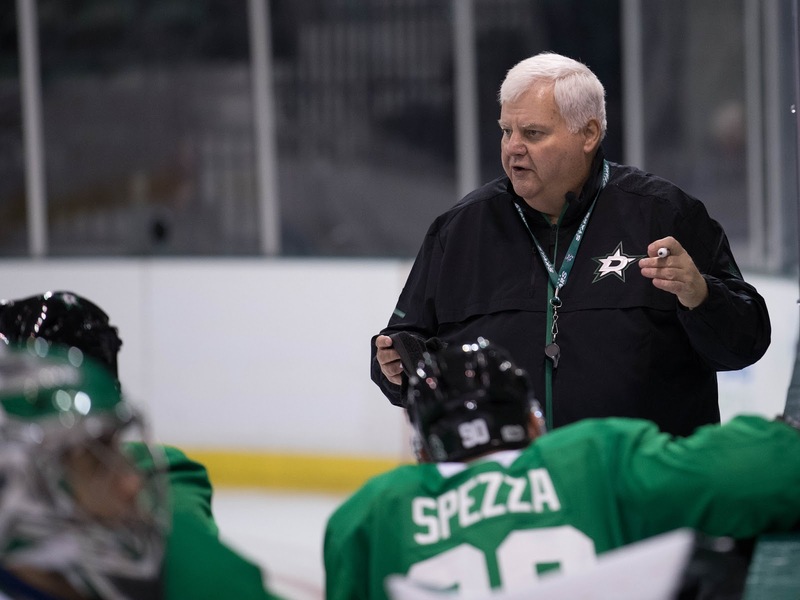 The Texas Stars got their camp underway in Cedar Park with a two-hour session that continued the lessons from Dallas camp and Traverse City. 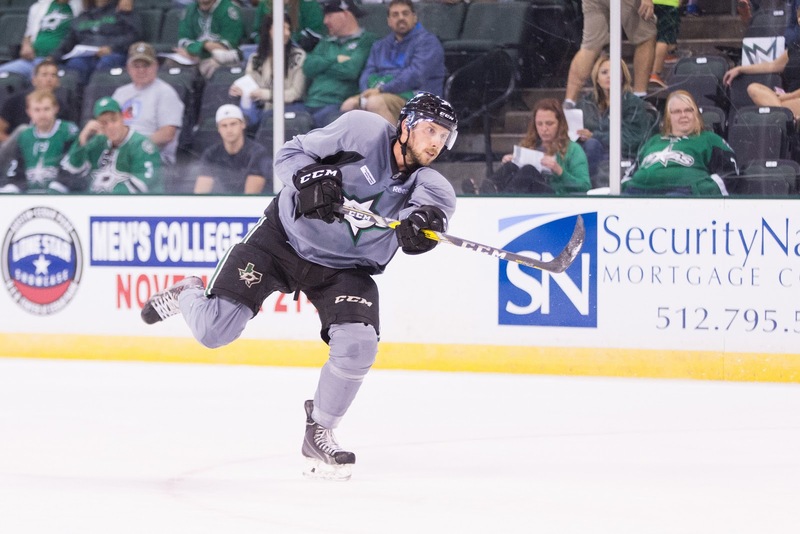 "There's a good synergy from the guys from Traverse to main camp to here," said Texas Stars head coach Derek Laxdal. "They've seen a lot of system work from Traverse to here. For us right now, it's easier to get into some practice drills instead of going into the main basic teaching." Indeed, Laxdal was running special teams drills at the end of practice, doing some 5-on-4 work with a rotating crew of players. He continued, "It's good because they know their teammates a little bit. It makes the first day that much easier, more flow, which helps with the second day." AHL camp is always compressed with just a few days of practice before the first game on Friday. Laxdal plans to ice a young lineup in San Antonio on Friday and get as close as he can to opening night on Saturday in Cedar Park. That may be complicated by all of the camp battles currently going on both in Dallas and Texas. "We've got guys from Texas pushing in Dallas right now. There's spot available. If you want to work for them, their there to be had. GMs have done a great job with the depth int he organization. We shouldn't get into the spot where we were last year with three or four free agents with the team right off the hop. There's still a lot of competition." Part of those depth signings have been the addition (or re-addition) of veteran players, such as Brent Regner, Brian Flynn and Greg Rallo. "We've got six or seven vets, so we'll have to manage that. [Texas Stars GM Scott White] has done a great job with character players, guys who can sell the coach's message in the dressing room. [Last year,] we didn't have enough depth with veteran and young players. We now have that extra leadership to get through the tough times." The management that Laxdal refers to is the AHL's veteran rule, which you can read about in the glossary. With 'six or seven' veterans, juggling lineups to stay on the right side of the law there will be a tricky game night feat for Laxdal all season. Overall though, Laxdal recognizes and acknowledges that last year's final result was not what anyone had hoped for. While so many of the players on the roster last season have improved measurably and are now competing in Dallas, that's a tough sell to fans here in Cedar Park who did not see a playoff game for the first time in five years. "You're trying to develop young players and you're trying to win. You have to have that balance. Our job is to develop these players for Dallas and at the same time, win games for the fans." D Brent Regner and F Brian Flynn both cleared waivers today and were assigned to Texas. The two were in the building today in Cedar Park but did not practice. They are expected on the ice tomorrow. Given all the players still to come from Dallas and the fact that it's the first day of camp, I would take the below with a grain of salt. However, here are the lines that were used late in practice for some 5-on-5 drills, presented in no particular order. The Dallas Stars have assigned Denis Gurianov to the Texas Stars this morning. With the assignment, Texas now has 27 players in camp as it gets underway tomorrow. Gurianov, who played one game at the end of the season with Dallas last year, is expected to spend most, if not all, of the season in the AHL. Dallas plays another preseason game tonight against Minnesota. 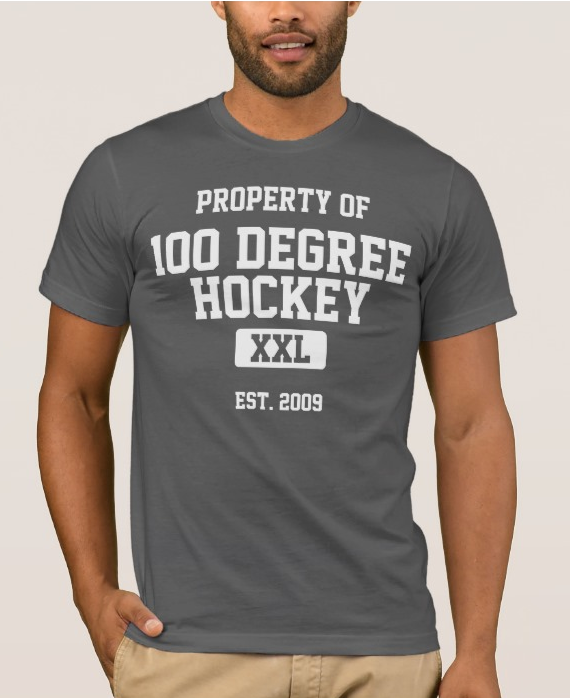 It brings my great joy to announce that I've been added to the 100 Degree Hockey roster as a contributing writer. I want to thank Stephen for his willingness to welcome me in and eagerness to get me involved in current projects. I admire the several years of hard work that he has put in to bring the Texas Stars faithful quality content season after season. Stephen has exhaustively labored to establish 100 Degree Hockey as a prestigious sports journal in the central Texas area through building relationships and maintaining high character and professionalism in the local hockey community. I am eager to display the same level of diligence in upholding the level of credibility that 100 Degree Hockey deserves. I also cannot wait to connect with you all, the Stars faithful and lovers of hockey. My wife and I reside in Killeen, TX where I work as a local pastor and attend journalism school part-time. I am a passionate musician and amateur chicken farmer. Writing is something that I’ve long loved to do with my free time but have never had the opportunity to consistently write in a public forum. Along with the rest of you, I possess a burning desire to extol the virtues of both Texas and hockey. This season, I plan to attend as many Texas games as possible, provide exclusive access to players and coaches and bring you quality game recaps and stories. Our first order of business is training camp and media day which kick off Sept. 27 and Oct. 3 respectively. Mark your calendars! 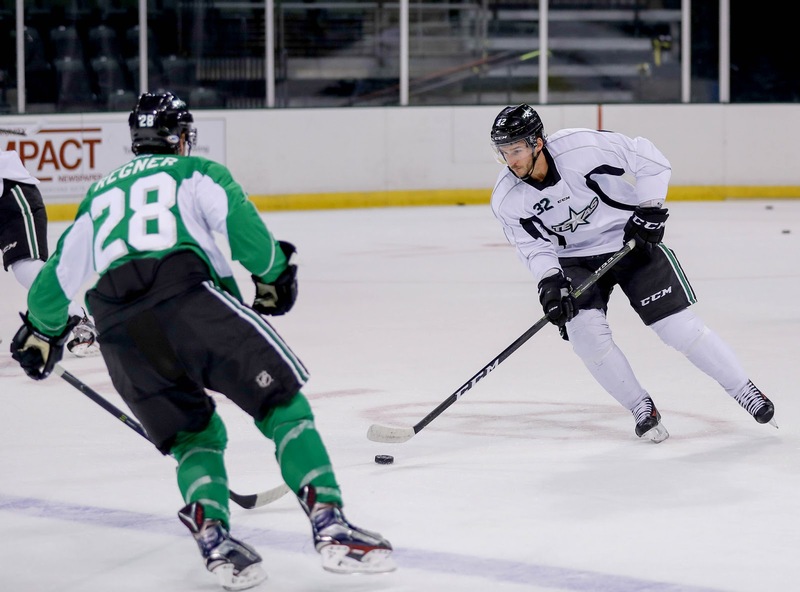 The Texas Stars announced their training camp roster and schedule this morning as camp opens on Wednesday this week. 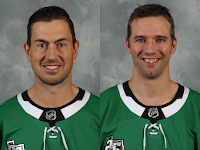 In addition to many of the NHL-assigned or AHL-contracted players, the Stars will also invite many players on ECHL contracts with the Idaho Steelheads, including Steelheads captain Jefferson Dahl and former Stars' PTO defenseman Aaron Harstad. The Texas Stars, American Hockey League affiliate of the NHL’s Dallas Stars, announced Monday their initial training camp roster and schedule for the upcoming 2017-18 season, the ninth in Cedar Park for the team. 26 players will report to H-E-B Center at Cedar Park Tuesday for physicals. The team will hit the ice Wednesday morning for their first formal practice. All practice sessions are open to the media and a formal media day is set for Tuesday, Oct. 3. The 13 forwards are Jefferson Dahl, Justin Dowling, Sheldon Dries, Max French, Austin Fyten, Samuel Laberge, Colin Markison, Mark McNeill, Travis Morin, Mitch Moroz, Greg Rallo, Tommy Thompson and Cole Ully. The 10 defensemen are Gavin Bayreuther, Andrew Bodnarchuk, Ludwig Bystrom, Cody Corbett, Shane Hanna, Niklas Hansson, Aaron Harstad, Dillon Heatherington, Matt Mangene and Eric Sweetman. Landon Bow, Philippe Desrosiers and Mike McKenna are the three goaltenders. Bodnarchuk, Bystrom, Dowling, McKenna and McNeill were assigned from Dallas Stars training camp earlier today. 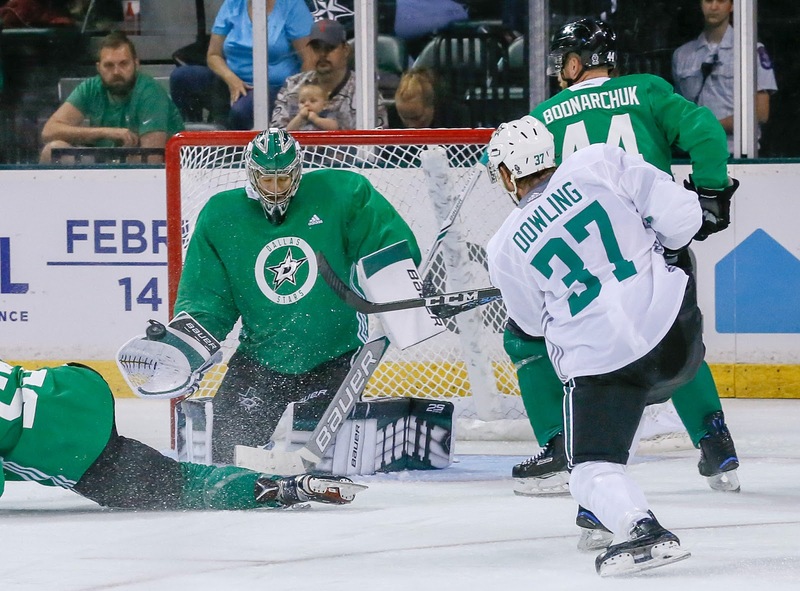 Texas will compete in a pair of preseason games against the San Antonio Rampage Friday, Sept. 29 at 7:30 p.m. and Saturday, Sept. 30 at 5 p.m. Friday’s game will be played at AT&T Center in San Antonio. Saturday’s contest will be at H-E-B Center. Opening night for the 2017-18 campaign is Friday, Oct. 6 at 7:30 p.m. when Texas hosts the Chicago Wolves. The Dallas Stars released or assigned a significant number of players this morning after last night's preseason victory against St. Louis. A group of players was also placed on waivers with intent to assign if they all clear. All of the players assigned were expected to be with Texas this season, except for Colin Markison, so nothing comes as a surprise here. Marksion does not have an AHL camp and Texas has not confirmed if he will be in camp with the AHL side this week. 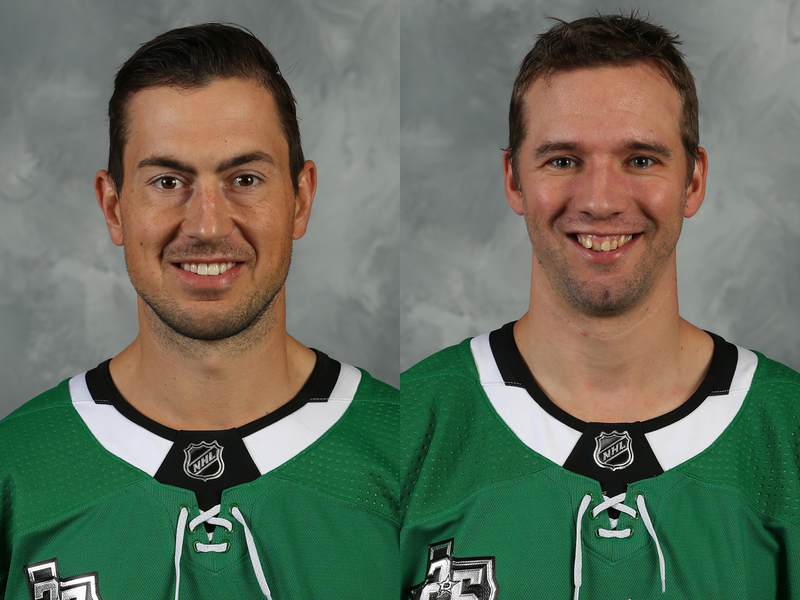 As the Texas Stars prepare for camp this week, the Dallas Stars released two AHL veterans on AHL only contracts yesterday. Captain Travis Morin and vet Greg Rallo were both released to head down to Cedar Park. 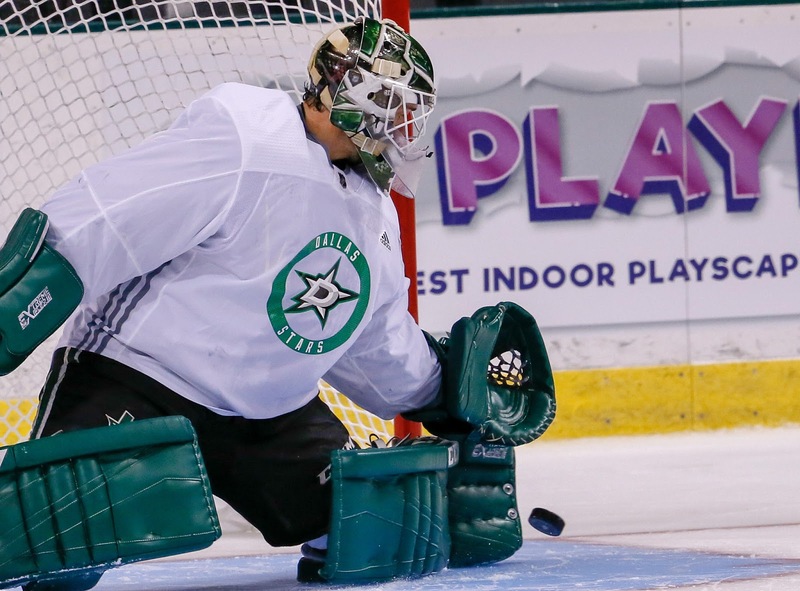 Texas Stars camp starts this week with the first practice of the season on Wednesday. 100 Degree Hockey will have complete coverage of what is sure to be a competitive camp for the Texas Stars leading up to this weekend's preseason games and the start of the season against Chicago on October 6th. At age 26, Justin Dowling knows what kind of player he is. Being that player, defensively responsible, able to play the PK, and with a scoring knack, gave him a chance at the NHL last season. He relished the opportunity and has every intent of getting back. Today's two goals in the prospect scrimmage was a great start to making a racket in training camp. "I'm old enough now that I know what they expect from me and what kind of player I am," Dowling said after day two of camp. "It won't change now that I'm 26. I have to do the things I do well. I have to pick things up fast and do them well. "It was nice to get a sniff last year and it gives me that drive to get back there." Coach Hitchcock put Dowling in a limited group of three who changed the coaching staff's opinions on themselves today. The other two were Nick Caamano, who also had two goals, and Gemel Smith. The coaches are looking to make grouping changes and adjustments to Tuesday's exhibition game roster based on the scrimmage. Dowling may have landed himself a place in that match against St. Louise. In the offseason, Dowling had to recover from hand surgery stemming from a late season injury with Texas. "Recovery went well, but [the injury] put a damper on the season in addition to not making the playoffs. It was good to get healthy and get a fresh start." The uptempo camp has been a well-worn narrative at this point, and Dowling agrees with it, taking a unique stance on the mixture of drills and skating. "It's different than most training camps I've been to, a lot more structure. It's fast tempo, almost like a hidden [bag skate] in a sense where you're doing system work but going for long reps, getting your skating in that way. There's a lot of 1 on 1 battles to get in game shape and form. I've loved it so far and the tempo has been great." As far as new systems, they are coming fast and furious on both offense and defense. Asked about those systems, Dowling noted a Hitchcock mantra: "The best way to play defense is to have the puck the whole time." With another practice session in the books today, not too much could be gleaned from individual players. Philippe Desrosiers struggled on a few drills at times in the later group, letting in at least five consecutive goals at one point. 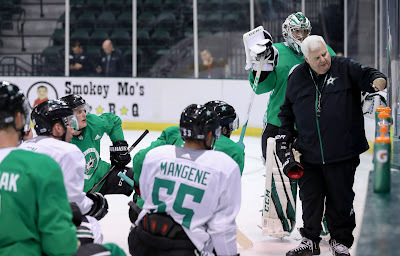 The real meat of the day came after practices had finished with the team releasing the veteran practice and 'future prospects' scrimmage rosters. Coach Hitchcock told the media after practice that the players "on one-way contracts" would "get the first kick at the can," as far as the veteran practice goes. Being in the future prospects group shouldn't be seen as a death knell, but it should tell players that they need to keep working to make it onto the NHL roster. The vet squad was mostly as expected. 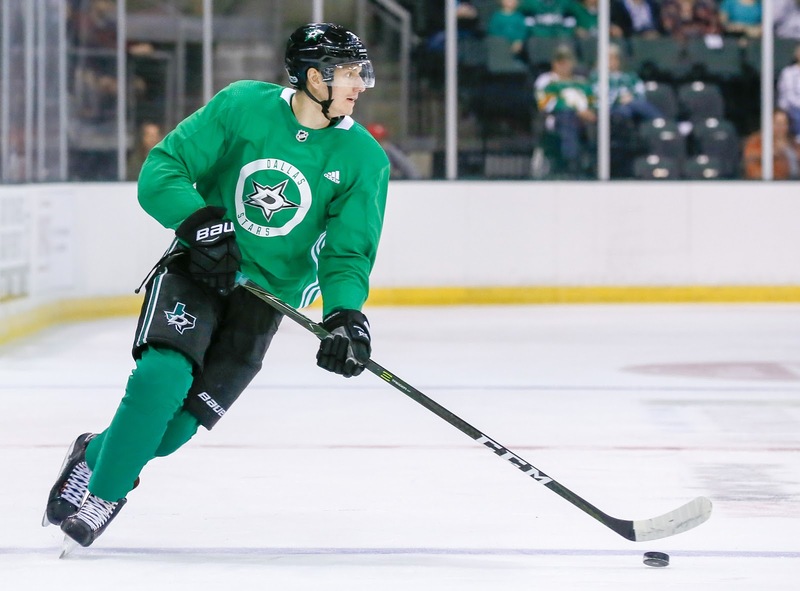 Jamie Benn, Adam Cracknell, Radek Faska, Mattias Janmark, Curtis McKenzie, Tyler Pitlick, Alexander Radulov, Brett Ritchie, Antoine Roussel, Tyler Seguin, Devin Shore and Jason Spezza made the list up front. Nine defensemen madethe list and they're all exactly who you'd expect: Dan Hamhuis, Julius Honka*, Stephen Johns, John Klingberg, Esa Lindell, Marc Methot, Patrik Nemeth, Jamie Oleskiak and Greg Pateryn. Note that it is nine names, which is three more than you can ice on any given night, so there is still work to be done there. Goalies on the list are Ben Bishop and Kari Lehtonen. For everyone else on the roster, it's time to prove themselves in the scrimmage to slide up into the top group. Folks like Jason Dickinson, Remi Elie and Gemel Smith, who all played last season in Dallas at various points, will have to re-establish their credibility with the new coaching staff. 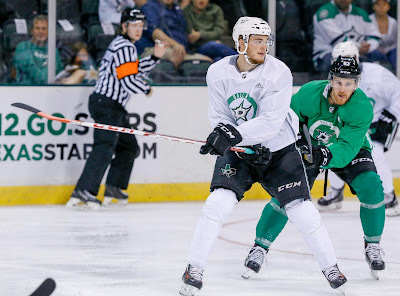 * - The roster lists Julius Honka as both a practice and scrimmage participant right now, which we understand is not a misprint. Today's article was contributed by a staff writer who will be joining me this season. For various reasons, I'll hold off on introducing him until next week, but I am excited to have him on board. 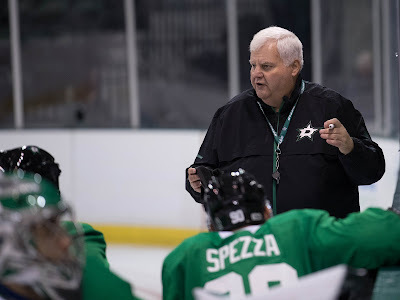 Dallas Stars head coach Ken Hitchcock ran a high intensity program on Friday as the organization began their training camp at H-E-B Center in Cedar Park. The 60-man roster was split into two practice groups, each of which took to the ice for 105 minutes this morning. As if it wasn't clear before, Mike McKenna appears to be your AHL number one goaltender, perhaps with Landon Bow as his backup. Philippe Desrosiers likely has an open door to grab the number two spot with Bow having a difficult Traverse City tournament, but I wouldn’t hold your breath. McKenna is the type of AHL journeyman that you can get excited about. He wears a cartoon Dimebag Darrell on the back of his helmet. The battle between Bow and Desrosiers is a huge unsettled question and will be a fascinating camp battle to watch. PTO invitee R.J. Umberger was on the ice, but the uptempo practice was a challenge for the forward, who did not play professionally last season. Conventional wisdom says that coach Hitchcock loves him as the two worked together in two past coaching stops. Umberger currently projects as the 13th forward on the NHL squad if he makes the team. If he makes the roster, it pushes an AHL player out of the running for NHL minutes. If you want to spin it positively though, perhaps the young bubble NHL-AHL Stars will get big minutes in the AHL rather than watching the Dallas Stars from the press box. Dickinson, Gurianov, or Hintz would do better to play than wear a suit and tie every night in the press box. Pour one out for Julius Honka's AHL career as he appears headed for a full time NHL roster spot skating next to Marc Methot during camp, though lines don’t appear to matter at the moment. Coach Hitchcock echoed as much about Honka during post-practice scrum. While the NHL club is locked into a intense defenseman battle with nine guys clamoring for six spots, Honka’s promotion sparks some competition on the AHL blue line. One name to keep an eye on is Ondrej Vala. 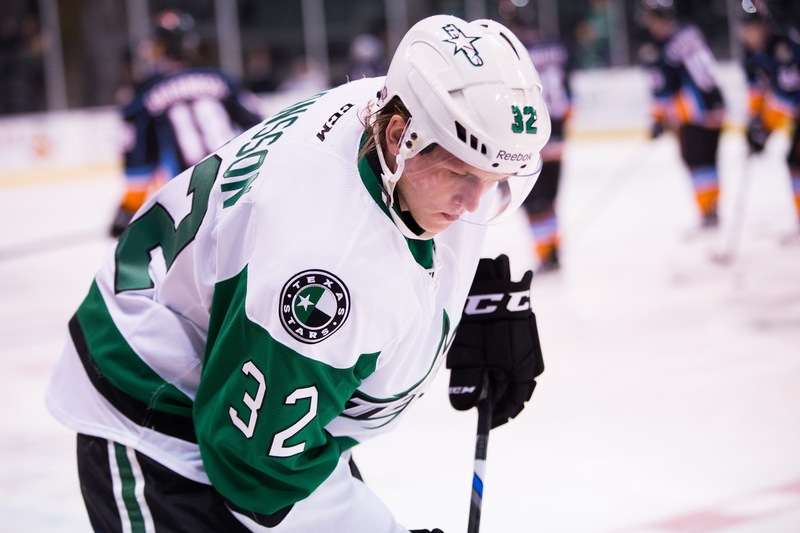 He spent most of the season in the WHL last year and was brought in for three games with the Texas Stars. He has a colorful personality and intriguing size on the blue line, and he skated well today. Vala could end the season with Texas after his WHL season is done. He is too young for the AHL currently at 19 years old. Vala was signed by Dallas as an undrafted free agent. 2017 Stars draft pick Jason Robertson looks endearingly like a rookie. In a couple moments of high comedy, he slipped and fell in front of the net while everyone was resting; later, he cursed loudly within earshot of several children. I like him already. He didn't show much, but you can see what the franchise likes about him as he clearly has skills with the puck. I’ll be interested to see if the diminutive Sheldon Dries can make a splash in the Stars organization this year. He seemed to be a lock for the ECHL Steelheads, but he was one prospect that really stood out to me. He made several beautiful centering passes on 5-on-5 drills. His skating was more than competent and he held his own against bigger players (he’s listed at 5’9”). Maybe I tend to root for smaller guys, but I liked the skill that I saw. There was an all-invite line of Shaw Boomhower-Tomas Soustal-Cole Tymkin. I’m sure these guys are fine players in their own right, but they were in over their heads and beat up on in drills by veterans during their entire session. It was tough to watch. Practices resume tomorrow morning at 9:30 AM at H-E-B Center. With Traverse City in the rear-view, the eyes of Texas turn to Cedar Park for Dallas Stars training camp. The NHL club held a media day this afternoon ahead of their I-35 sojourn to central Texas. The full training camp roster has also been released. The organization continued its excellent practice of including AHL contracted players in the NHL training camp, including vets like Travis Morin and Greg Rallo along with newcomers like Shane Hanna, Max French and Sam Laberge. You can take a look at the full roster here, which has 62 total players. D Miro Heiskanen, Dallas's 1st round pick this year, will not be at camp after suffering a concussion in the early season in Europe. It's questionable if he even comes to North America at all this season as a result. C Martin Hanzal has an ankle injury. Dallas is being cautious now and holding him out of camp but doesn't seem to believe it will be a long-term injury. D Chris Martenet, who was expected to start the season with Texas, is out at least two months with mononucleosis. Dallas also announced that they are adding a practice to the training camp schedule on Sunday morning. Before the scrimmage, the veteran NHL players will skate from 9:00 - 10:45 AM. The scrimmage at noon has now been rebranded as the 'Future Prospects Scrimmage,' indicating that fans shouldn't expect to see Benn, Seguin or any of the top players from the NHL in that game. Everything gets started Friday morning at 9:30 AM. Many Dallas Stars prospects will head to Traverse City, Michigan, this weekend to compete in the annual Traverse City Tournament, put on by the Detroit Red Wings. The small city in the tip of Michigan's lower peninsula has been a mainstay of the Dallas end of summer huiberaination activities for years. Texas Stars head coach Derek Laxdal and Idhao Steelheads coach Neil Graham will be among the coaching staff there. 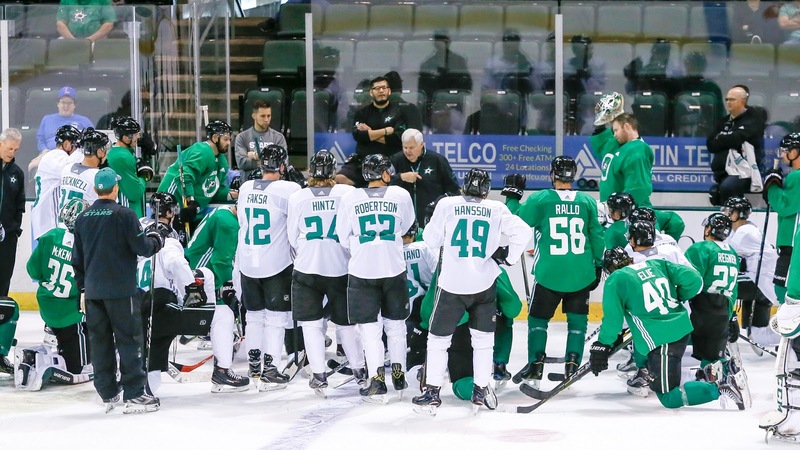 A gaggle of current and future Texas Stars are set to dot the roster, which will play one game a day round-robin starting tomorrow and culminating in a final game pitting the divisions against each other on Tuesday. The NHL squads participating include Dallas, St Louis, Columbus, Minnesota, Chicago, the NY Rangers, Carolina, and the hosts, Detroit. The Stars kick things off tomorrow with a 3:30pm ET match against the Columbus prospect squad. The full schedule is here. And here is the full roster for Dallas. Texas Stars from 16-17 dot the roster, including Nick Caamano, Denis Gurianov, Gavin Bayreuther, Chris Martenet, Ondrej Vala and Landon Bow. Niklas Hansson even played a few games for Texas two years ago at the end of the season and will be with Texas this season. He's a top defensive prospect. Upcoming AHL-only contracted Texas Stars on the roster include Sheldon Dries, Shane Hanna, Eric Sweetman, Max French, and Sam Laberge. Many of the Dallas Stars draft picks on the roster should be expected in Texas in the coming years, including Jason Robertson and John Nyberg. Roope Hintz is another name to watch. The Finnish winger hasn't been on the radar as much since he's played in the SHL for the past few years, but he will make his North American debut with the AHL Stars this season.